If someone told me a few years ago that I would enjoy eating legumes with some time in the future, I would answer that there is no chance! I would be sooo wrong! Now legumes play a significant part in my nutrition and I cook them in so many different ways! The quality of the legumes is really important. At my favorite online delicatessen Yoleni’s I find high quality products that are delivered in my front door within a few hours in amazing package. If you order products from Yoleni’s you will understand what I mean! We apologise to our husbands for making them wait all this time while we were setting the table and shooting. They were compensated by the result. 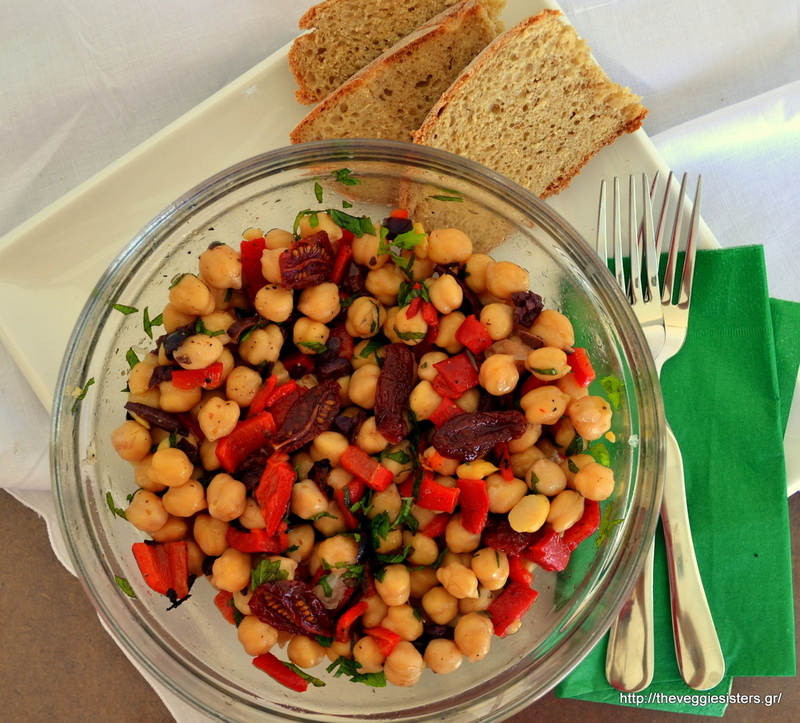 So here you are «an ode to chickpeas» that is a refreshing chickpea salad with red peppers, olives, semi dried cherry tomatoes and mint and a tomato feta flavored hummus. Soak chickpeas overnight. Cook until soft (al dente). These ones were ready in 40 minutes. 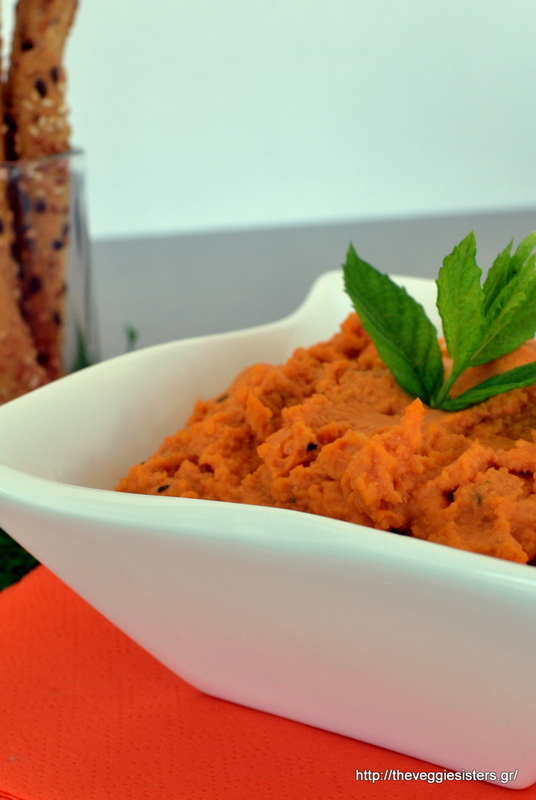 Blend cooked chickpeas along with the other ingredients until smooth and creamy. Use more water if you want your hummus to be more liquid. Serve in a small bowl and garnish with fresh mint. Combine apple cider vinegar with olive oil, garlic pulp. Season with salt and pepper. 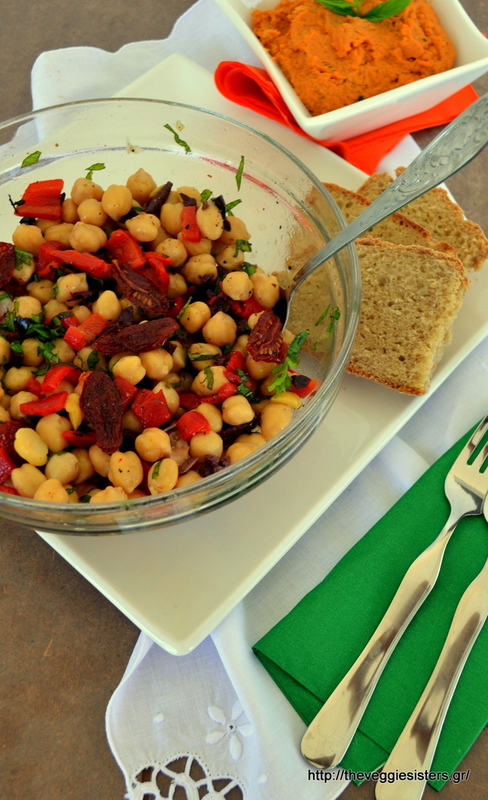 Place chickpeas in a bowl and pour the sauce all over. Add olives, tomatoes, peppers and mint. Stir to combine. Enjoy it as a salad or a meal. 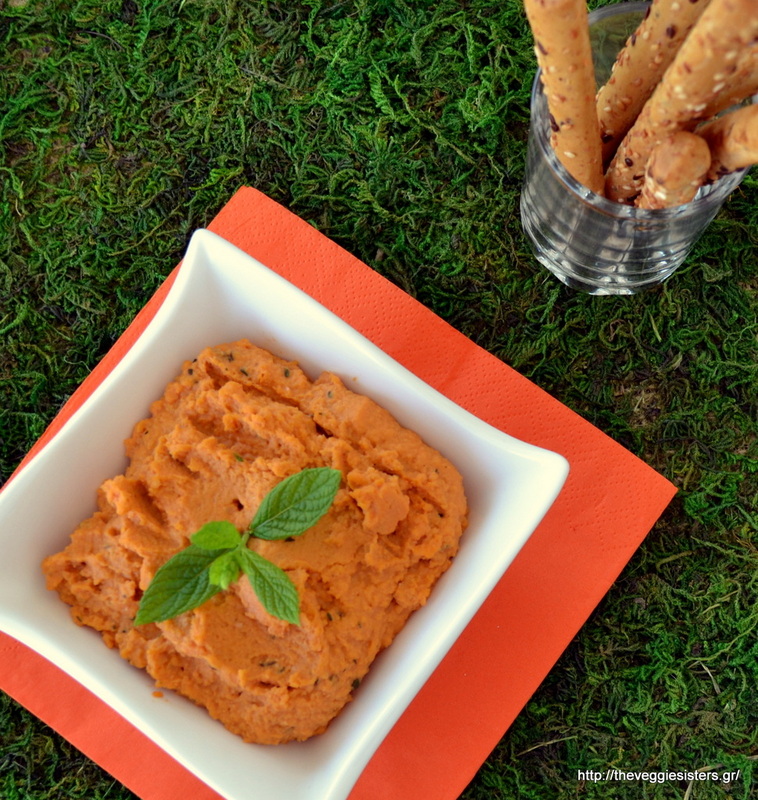 Share the post "Refreshing chickpea salad and mint + tomato flavored hummus"
Next PostΤο πιο υγιεινό νηστίσιμο Cheesecake!